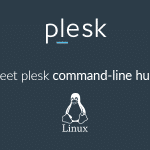 Since Plesk 10.0 and prior to Plesk 11.5 email user management has become greatly complicated by the need to operate through User account. While Users concept gave more power and flexibility, we recognised the simplicity of basic functions is equally important. So in Plesk 11.5 the one can still utilize “Users” to delegate some web mastering functions, but for mail users a simple solution will be suggested. 1) when creating new mailbox at “Mail” tab there would be a simple checkbox (enabled by default) to grant access to control panel. Notice that even if “Users” function has been revoked/hidden from a domain owner, they still can grant mail users with control panel access. As a small extra convenience there comes a “Generate” function for getting secure password. 2) a resulting mail user would have quite simple interface (which will become even simpler in further releases). A mail user can change their password through their mail account settings or through their profile. 3) changing password for a mail user is also easy. Notice they don’t see any other user or any hosting option not really allowed to them. As a small improvement they can see their mailbox size here (but unlimited size in the example below). Hi we have no access to our mail since yesterday, instead of the main page we see this: This page is generated by Plesk, the leading hosting automation software. You see this page because there is no Web site at this address.